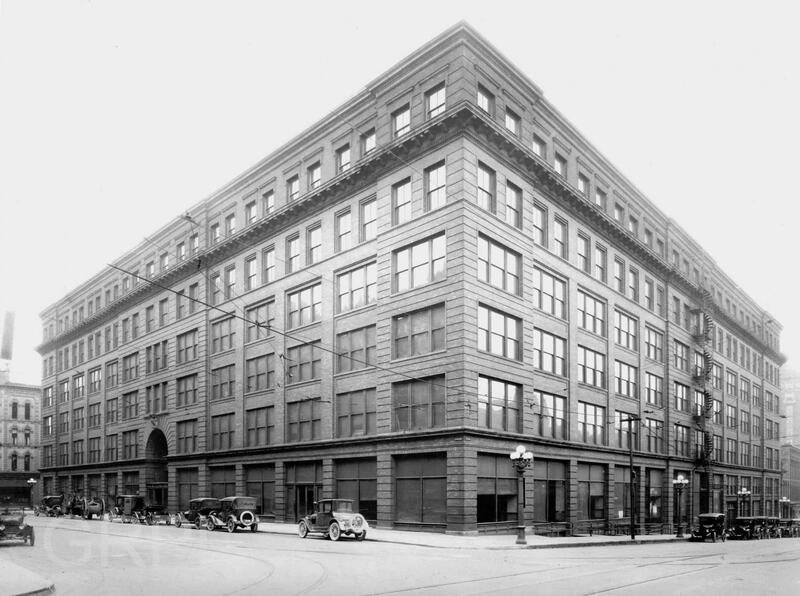 The six-story Waters Building, at the corner of Lyon St. and Ottawa Ave., was originally called the Klingman-Waters Exhibition Building. A circular fire escape on the side of the building is at the far right of the photo. Several automobiles are parked on the street, and the trolley tracks and overhead lines are visible. Mulit-globed boulevard lights, visible on the right, line Lyon St. The photograph is dated by the multi-globed boulevard lights which were installed in 1912.